Pacifica - un à deux niveaux plage coutume, 3 chambres à coucher plus den maison situé à 2 minutes à pied de la superbe plage de Chesterman. Situé sur une demi-acre boisée, les caractéristiques de la maison exposés bois de sapin, des fenêtres personnalisées et extérieur de bardeaux, de sapins qui en planches larges, l'ardoise et tapis partout, meubles artisanaux de sapin recyclé, cuisine gastronomique avec des appareils en acier inoxydable, chambre de maître sur la principale étage avec un lit king size et salle de bains privée avec baignoire à remous et douche séparée, deux chambres d'hôtes, chacune avec lits queen, deux salles de bain complètes, salle de jeux avec table de billard et l'est patio face, et un grand ouest pont de cèdre avec bain à remous privé, barbecue et meubles de patio. Pacifica est les animaux de compagnie et pourra accueillir un maximum de 6 personnes. The house was kept beautifully. AMAZING location, and great use of space inside. Everything that we needed was provided, and the caretaker was super close if we needed anything! I would love to come stay here again, but for longer. Thank you so much for hosting my family and I.
HI Lua, thanks for the great review! Love to have you back sometime. Regards, Fred. A gorgeous, we'll appointed home with plenty of space just steps from the beach. Couldn't be better! We and some friends rented the place over new years. It was spacious and clean, and made for a very relaxing and enjoyable vacation. We loved the hot tub, pool table, fireplace and location next to the beach, and a five minute walk to yoga, coffee shops, groceries and more. I have rented several homes at Chesterman Beach. This home was the best. So spacious and comfortable. It was truly a home away from home, very well stocked with everything we needed. Very short walk to the beach. Communicating with the owner was quick and seamless. I highly recommend this home. Fantastic location near Chesterman beach and the house is well set up for a family or a few couples. Large kitchen and dining area and clean bedrooms/bathrooms. Fred was also very easy to deal with and we had no issues. Thanks, Michael, I look forward to having you back some time! Second stay at Pacifica: another excellent trip! We have stayed at this home twice in the last 2 summers. 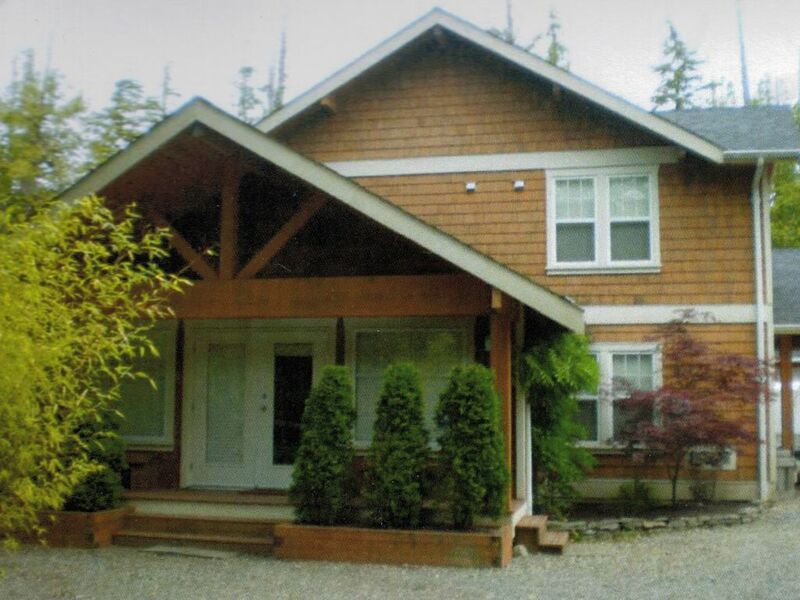 The house is perfect for a 2 family vacation to Tofino. It’s a quick drive to town, and walking distance to ice cream, coffee shops, small grocery store, and surfboard rentals. Being only a few hundred yards from the beach makes it easy to walk with kids while carrying all our gear. The house is well appointed, cozy and spatious. We hosting 17 people for dinner and it was comfortable using indoor and outdoor spaces together. The hot tub was cleaned twice during our week stay. It was perfect for warming up after a surf. Plenty of yard space made storing surf boards, beach toys and wetsuits easy. Mattresses, pillows, bedding and towels were top notch. Our crew slept comfortably. The kitchen has more than enough gear and accessories to prepare almost any meal. A covered parking area makes loading and unloading vehicles easier it the rain. We will be back for a third trip! Thanks, Tyler, you are most welcome any time. Your group took great care of the house. Cheers, Fred. This is the perfect house to serve as a relaxing and accommodating "basecamp" for all of the available activities that Tofino has to offer. Our family of four had tons of room and enjoyed nightly pool tournaments and walks down to the beach only 3 minutes away. This is our second time (or third?!) in this house, and we will certainly be back! Thanks, Fred! Thanks, Mary, I would love to have you back next year! A great group. Cheers, Fred.